Don't be left out. 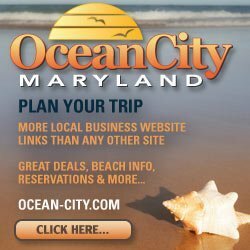 Add your business to OC is Free and get the most unique and effective Internet marketing available in Ocean City. There is nothing else like it anywhere. Complete and submit the form below or call 410-213-2400. We can have you setup within 24 hours. We will contact you promptly to discuss the advantages of adding your business to OC is Free.